Cannabidiol is the extended name of the abbreviation CBD. Cannabidiol is the by-product of Non-Enzymatic Decarboxylation of Cannbidiolic Acid (CBDA). 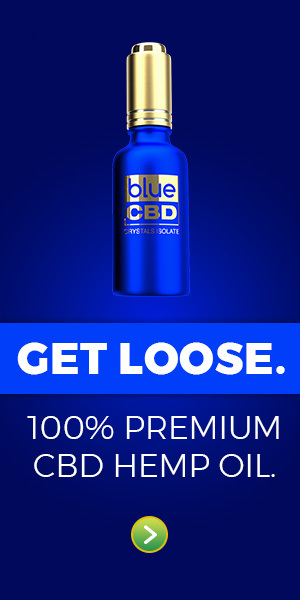 CBD is an abbreviation for Cannabidiol (pronounced; Canna-Bi-Diol). Cannabidiol is a by-product of the Non-Enzymatic Decarboxylation (non-enzymatic catalyzed release of COOH) of CBDA (Cannabidiolic Acid). In general, Non-Enzymatic Decarboxylation (non-plant release of CO2) for conversion of CBDA to CBD begins at 182.5C so this does not convert naturally on the plant. CBD (Cannabidiol) is the result of heating extracted substances CBDA (Cannabidiolic Acid) from the Cannabis / Hemp plant. CBD Oil is the most common form of product available for retail purchase, and can be made from Isolate mixed with carrier oils, or extracted directly from plant materials using critical extraction or distillation processes. Most “50 State Legal” CBD is derived from those parts of the (edit:IMPORTED) Cannabis / Hemp plant set aside in the 2004 settlement ruling between DEA & HIA. This means (edit:IMPORTED sludge-like oil from FOREIGN) stalks, fiber and hemp-hurd. CBD derived from USA-Grown Cannabis / Hemp flowers, or florescence of the plant remains under Schedule I Category of Controlled Substances. HEMP-X is grown by Native Americans. UPDATE 2019: Hemp is emerging into the Agriculture Category. Agricultural Hemp should supply a greater volume of Hemp flower to drastically lower CBD prices by 2020. Demand USA-Grown Hemp! CBDA-S: is the abbreviated name of Cannabidiolic Acid Synthase/CBDA-Synthase (CBDA-S). CBDA-Synthase is a PRODUCT of Cannabis and/or Hemp. CBDA-S combines with CBGA to produce Cannabidiol (CBD). CBDA-Synthase: is the extended form of the abbreviation for Cannabidiolic Acid-Synthase (CBDA-S). How Do Testing Labs Make THC? Cannabis, the plant cannot produce, nor synthesize THC on its own. In fact, THCA-A (THC Acid “A”), the pre-cursor substance on “Marijuana” that must be heated to make THC – REQUIRES 12 WEEKS carefully-monitored Light, Temperature and Humidity-controlled curing of the Raw, Fresh-Harvested Cannabis plant. To EXPEDITE the Testing Process of the TARGET SUBSTANCE (cannabis/hemp) chemicals must be used to produce THCA-A through Synthesis of THCA-Synthase and Cannabigerolic Acid (CBGA). Now they have their TARGET SUBSTANCE, they heat it up just like “smoking a joint”, and THC is released in the smoke. NOW YOU KNOW THE “MARIJUANA FRAUD”. REMEMBER: Cannabis CANNOT produce, NOR synthesize THC on its own. It must be TARGETED with “2 grams of vanillin and 2.5 millimeters of acetaldehyde to 100 millimeters of ethanol”. They are not testing “cannabis”. They are testing a “TARGET SUBSTANCE” of their making. Making THC from “Target Plant Material” is not how the law is intended. Testing for the presence of “Target Substance” is what they are doing. This seems to be a fraud upon the voters and constituents asking for some measure of assurance to the products they are purchasing. THC is an abbreviation for delta-1-Tetrahydrocannabinol or more commonly referred to as delta-9-Tetrahydrocannabinol. THC is a non-enzymatic decarboxylated by-product of the Non-Enzymatic Decarboxylation of THCA-A, Tetrahydrocannabinoliic Acid-A. THCA-Synthase: is the abbreviated form of Tetrahydrocannabinolic Acid-Synthase/THCA-Synthase, (THCA-S)> THCA-S is a Product of Cannabis, and combines with CBGA to Synthesize THCA-A,B,C acids, of which THCA-A is further Synthesized during the curing process. When THCA-A is Non-Enzymatically Decarboxylated, THC is released as a by-product. At the stage when THCA-A is present the bio-mass is commonly referred to as: “Marijuana”, and has the potential to produce THC. THCA: is the abbreviated form of Tetrahydrocannabinolic Acid (THCA). THCA-A, B, & C are produced during Light, Humidity and Temperature-controlled curing of the “Fluorescence” or flowers of the Cannabis plant. Consumption: is the “wasting” away of the body during the fueling of the digestive process. A diet lacking in fuel requires Lean Mass and Organs to fuel the process when this fuel cannot be supplied by the dietary intake. In this STATE, the body is Susceptible to HOST the Tubercle Virus. Consumptivitis: is the STATE in which one HOSTS the Consumptive Tubercle Bacteria, more commonly referred to as Tuberculosis, today. Edestin: is an very-bio available, easy-to-digest protein that makes up two-thirds of the Protein available from Hemp Seed, more commonly known as “Hemp Hearts”. Globular Proteins make up approximately one-third of the nutritional content of the Hemp Achene or “Fructus Cannabis”.